Statistics provided by the National Highway Traffic Administration demonstrate that an automobile accident is likely to happen every minute of the day averaging 5.25 million accidents a year across America. Recognizing that this alarming number of accidents takes place, it is imperative to possess auto insurance of some form because the results of not having insurance could be devastating. In fact, possessing car insurance is a legal requirement prior to operating your vehicle on our Arizona roadways. 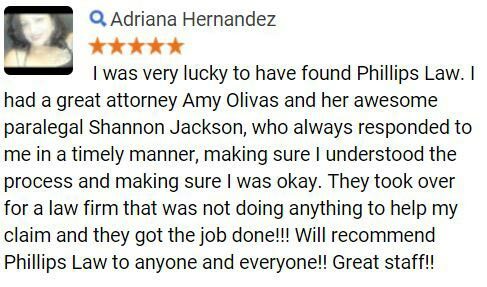 At Phillips Law Group, our auto accident attorneys believe that if you or someone you love has been injured in a car crash by a negligent individual that does not possess car insurance; the victim of the accident may be eligible to receive compensation for their losses and damages. Our attorneys believe that these negligent individuals must be held accountable for all their actions in the court of law and we will seek the maximum compensation for all our clients losses. 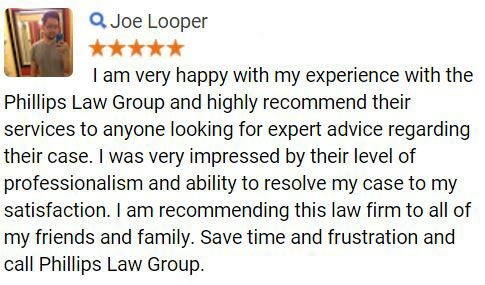 To learn more, simply complete the Free Case Review form on this page Its 100% FREE! As accidents are happening ever minute across the United States, possessing auto insurance is a critical part of being a responsible driver, not to mention, the outrageous costs for paying for any medical expenses and damages caused by an uninsured motorist. Thus, there are several different car insurance types to choose from to best fit your needs. Of course, it is recommended to go beyond the minimum requirement, due to the fact that individuals are responsible for any claims that go beyond the coverages upper limit. Thus, we will not need to pay as much out of our own pocket if we have caused a more severe accident. Comprehensive insurance protects your car if any damages are caused to it such as; weather damage, vandalism, an animal collision, or theft. Collision insurance protects us against having to pay damages to our own vehicle, while it holds the insurance company responsible. Thus, if your automobile becomes totaled, an insurance agency will pay a certain amount for your car. Personal injury protection covers any injuries and medical expenses that have been sustained to you and your passengers during an automobile accident. Of course, this may not be necessary provided that you have an adequate health insurance plan. Uninsured motorist protection covers damages that are caused by another individual that does not possess insurance, has low minimums, and does not have the ability to pay for all the damages out of pocket. Gap insurance is beneficial for those that owe more on their vehicle than if they were to sell it, due to the fact that many insurance agencies will cover the actual value of the automobile, rather than the actual cost of replacing it. In many cases, it is required until you pay off your car; so many individuals possess gap insurance knowingly or not. No matter if an individual decides to possess the most basic form of insurance, or the most expensive, it is still our duty as Arizona residence to possess some form of automotive insurance. Additionally, the repercussions of having no insurance are simply not worth it. Submit a SR-22 form, which certifies that an individual now possesses liability coverage, while also paying a $50.00 reinstatement fee. Clearly, it is better to possess the proper car insurance prior to driving on our roadways. It is not worth the risk of paying for other damages and medical expenses, along with losing all driving privileges. 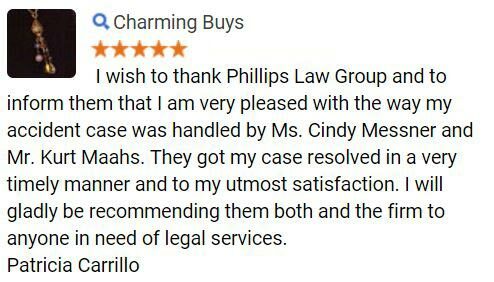 At Phillips Law Group, our attorneys believe that any negligent act by another individual, either negligent individuals causing injuries or damages, or insurance agencies not holding up to their end of the bargain, must be held accountable for their actions in the court of law. With our primary office in Phoenix, we are licensed to serve the entire state of Arizona. 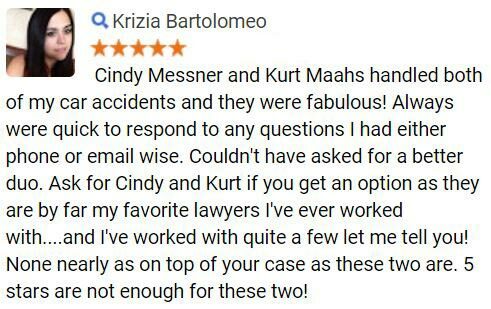 To learn more about how our Phoenix auto accident attorneys can help you achieve justice in the court of law, or to schedule a free no-obligation consultation, we welcome you to contact us at 1-800-706-3000 where a member of our intake team will gather information about your accident and connect you with one of our attorneys ready to handle your specific case. Begin now by completing the Free Case Review form on this page Its That Easy!